As time goes by we get that feeling that everything is lost , every moment is a memory, everything we did is a part of history and the past is a time that has gone forever. That's one reason why I love taking pictures of special moments, and the reason why I love shooting styles, because this is the only way for someone like me with a very bad memory to bring back time and remember the past. Who doesn't love looking at pictures from the past decades in fashion, in decoration, in architecture, in portrait photography? 70's , 60's, 50's had so much style that they can only be inspiration to us. 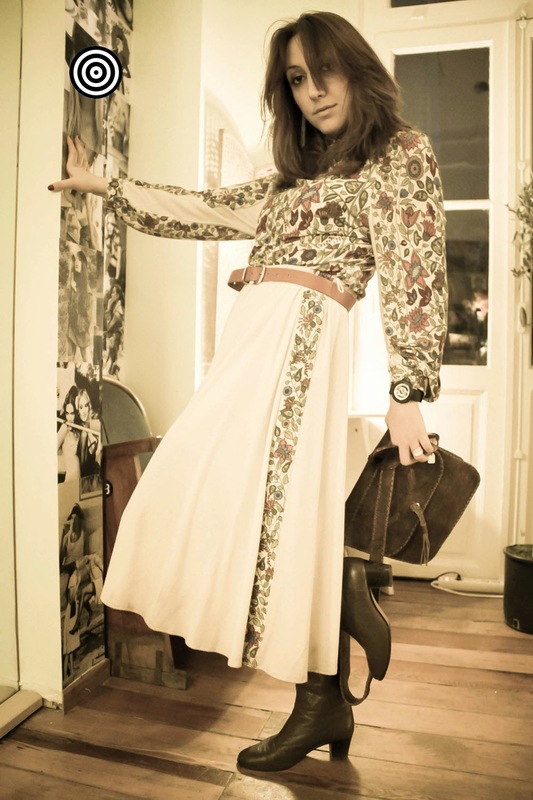 Vintage fashion is something we all love and here you will see some vintage styles that Lena-my guru-stylist friend for our blog Lena Dora Fatsa Fora - put together. We had such a great time then! I wish we could do more things together but distance won't allow it. So I share these photos with you and remember.. they are not just pictures, they included the concept of time and are ones that I will always remember with a smile on my face and in my heart. Thank you Lena , thank you Feny, thank you Anastasia!